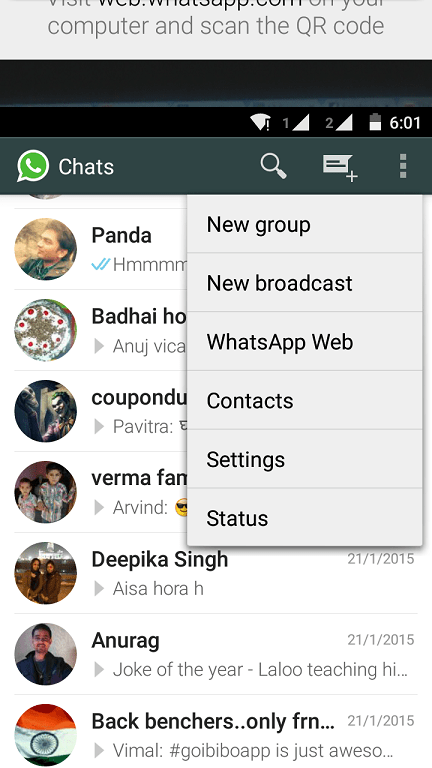 As expected, now WhatsApp is available via a web client. So, you can access your WhatsApp account from your desktop. This WhatsApp web client works exactly same as your mobile app. Use of the web client is simple and fast. It uses QR code scanning for verifying your identity. 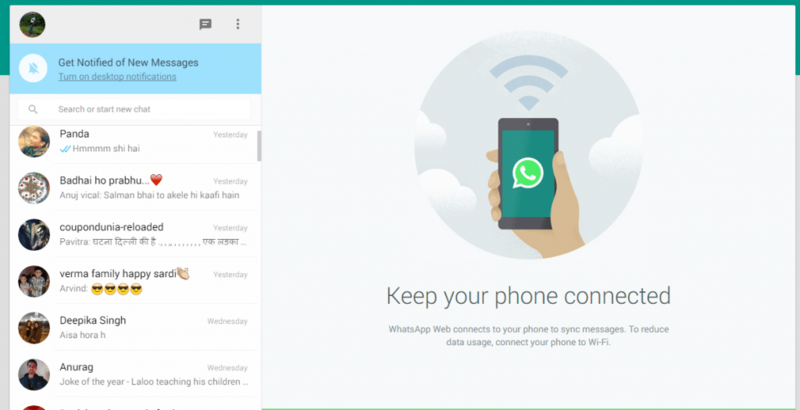 In this post, I will discuss how to use WhatsApp for web. Note: Before your go and try this, you should know that it does not work for iOS users. And for others, you need have latest WhatsApp and Chrome browser.Open web.whatsapp.com from your latest Chrome browser. As of now, it only works on Google Chrome browser. Support for more browsers will come soon. When you open the web client, it will show you a QR code and other information. Now open your mobile app and tap on menu icon. You will see an option “WhatsApp Web”. It will open your camera. Now you will have to scan the QR code showing on web client via your phone. 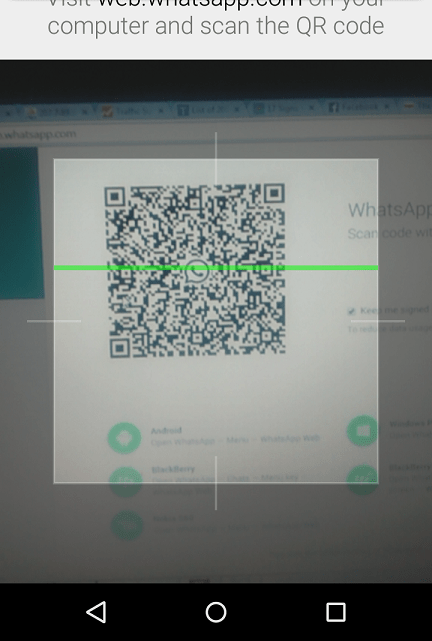 Once the scan is finished, it will open your WhatsApp on this web client. You will be able access your account. Send and receive WhatsApp conversations. But you will only be able to access WhatsApp for web until your mobile is connected to Internet. If you turn off data connection on your phone, WhatsApp for web will stop working. You can also turn on desktop notifications to receive notifications when you have new conversations. Try WhatsApp for web and share your views with us via comments.